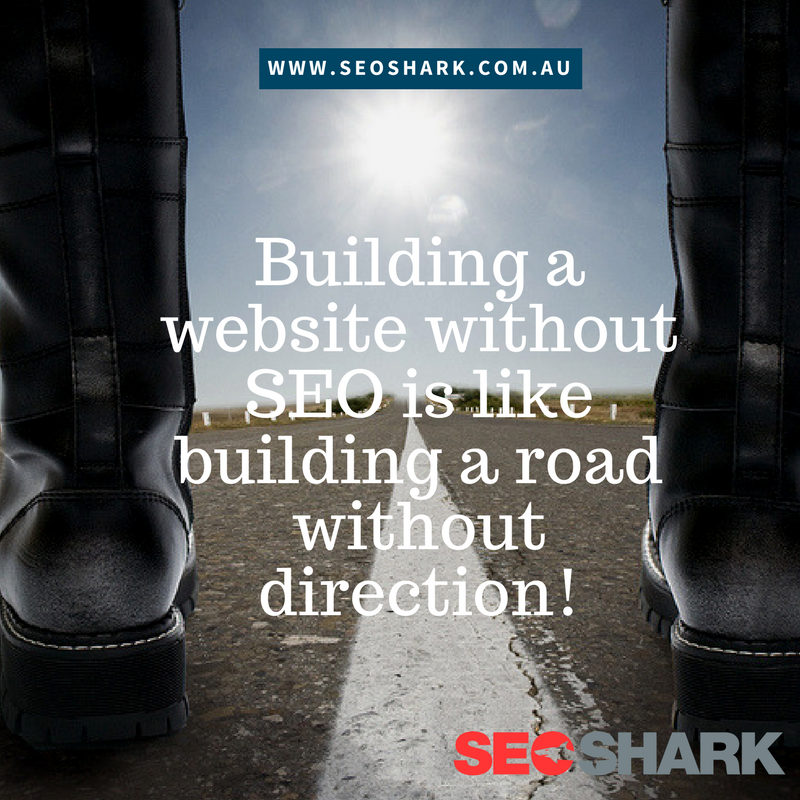 If you are just looking into the world of SEO it can be quite daunting. After first dipping your toe in you probably will have a stack of questions. SEO consists of a large variety of buzzwords and jargon that can be difficult to wrap your head around. Sometimes you may feel embarrassed about your question because it may seem too basic. Well, you should never be afraid of asking an SEO expert a question and they should never make fun or belittle you when explaining the answer. Nonetheless, if you don’t feel comfortable asking an expert the basic question, or if you want to know the answer to a lot of the basics, then you have come to the right place! This article will address the answers to some of the most basic SEO questions. After this article you probably still won’t be an SEO expert, but it is hoped that you will at least have some level of understanding on how SEO works and you feel more comfortable in its world. By having a basic understanding of SEO you will better understand what areas are most important, and the strategies SEO companies employ to push your website to the top. 1. What is SEO and should I be using it? SEO stands for Search Engine Optimisation and it involves any strategy or method that helps to improve a websites search engine ranking. SEO is important because it helps make a website more visible. The higher a ranking the greater the likelihood of a user seeing your website and higher visibility leads to better conversions and traffic. 2. What are the main search engines? When referring to search engines, SEO experts usually mean Google. Google has dominated the search engine market for years now and it is certainly the most important search engine to rank highly on. Other search engines that are noteworthy include Yahoo!, Bing and DuckDuckGo. 3. What is difference between organic or paid SEO? SEO can be either organic or paid. As the name suggests, paid SEO is where a website pays money to hold their ranking position on a search engine. Organic SEO refers to the natural growth of your websites ranking. 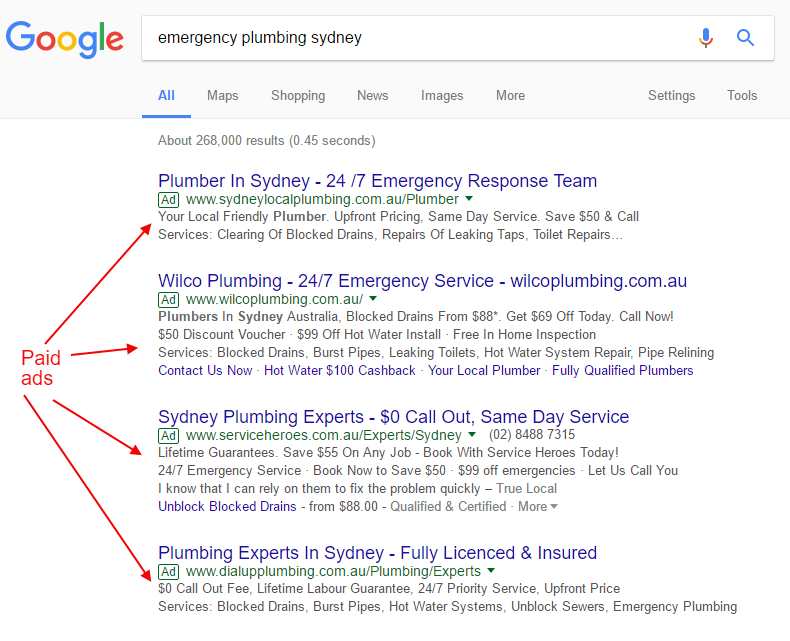 When the keyword “emergency plumbing sydney” is searched in Google the first results are shown below and they are paid SEO. These companies have paid Google to ensure their website is at the top of the list. The next picture shows the results for organic SEO. These are the websites that haven’t paid for their ranking position. They just worked hard to naturally achieve a great position. 4. What is a keyword? A keyword is the words that a user types into a search engine and they help users find what they are looking for. Keywords are one of Google’s many ranking factors and it helps determine the relevancy of your website to the keyword the user has imputed. 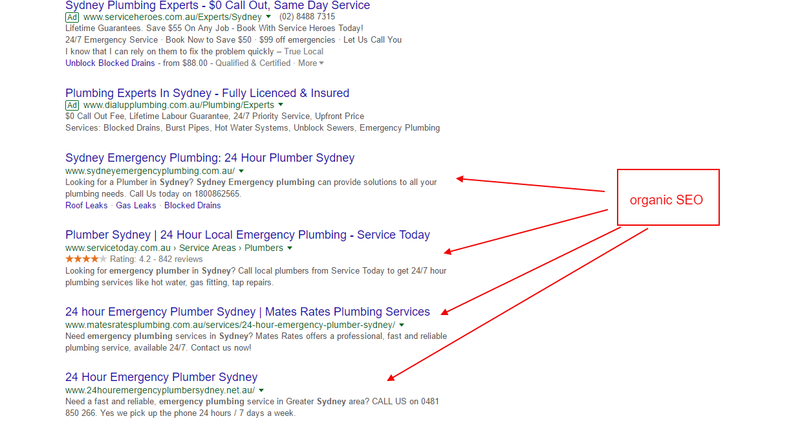 In the example above, “emergency plumbing sydney” was the keyword. 5. What is a long tail keyword? A long tail keyword is a phrase that is usually over 5 words. Long tail keywords tend to be much more specific and are used by SEO experts to help reach a more specific target. They are also much easier to achieve a higher ranking than keywords with one or two words. The domain is the section of the network address and describes the website; this can include website address, email address, etc. When looking at google.com, the domain is google. This relates to a service that provides space for any website on the internet. It allows your website to be viewed through a network or modem by creating more space on its server. Today, there are a lot of different web hosting services to choose from. SERP is known as Search Engine Result Page. This is the page that users are shown after they search for a keyword. Different keywords will bring different SERP’s, the higher your website is up on the SERP, the better. 9. What is web crawling? This relates to the automated process where search engines “crawl” through your website to ensure the correct indexing. 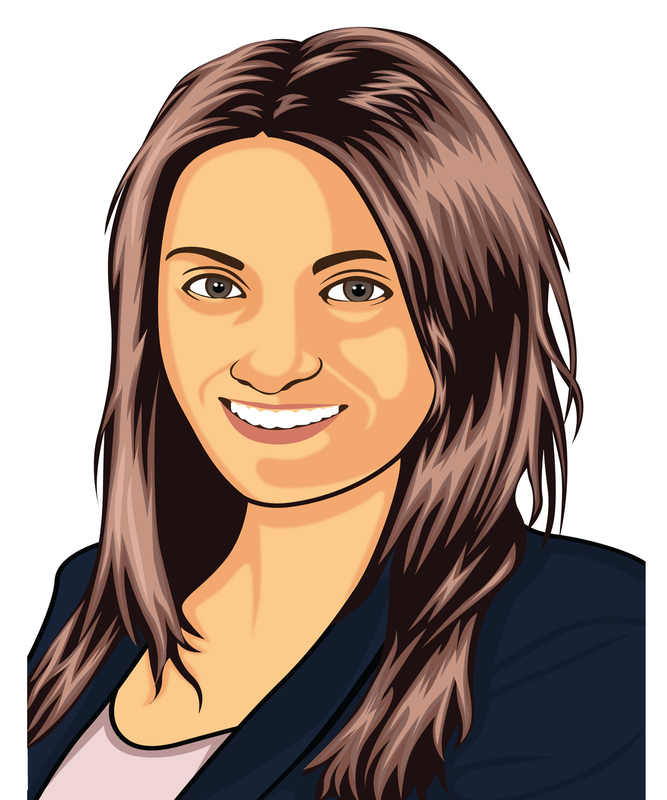 The crawlers will look at your web pages for related keywords as well as hyperlinks and your content. They then bring all this information back to the server where it will be indexed. The indexing process begins after the crawlers have gathered all the information. Search engines collect all the relevant information to a user’s query (from the crawling phase) and indexes the information from websites into a list based on relevancy. 11. What is off page SEO? This refers to all components that influence a search ranking that does not take place on the website. 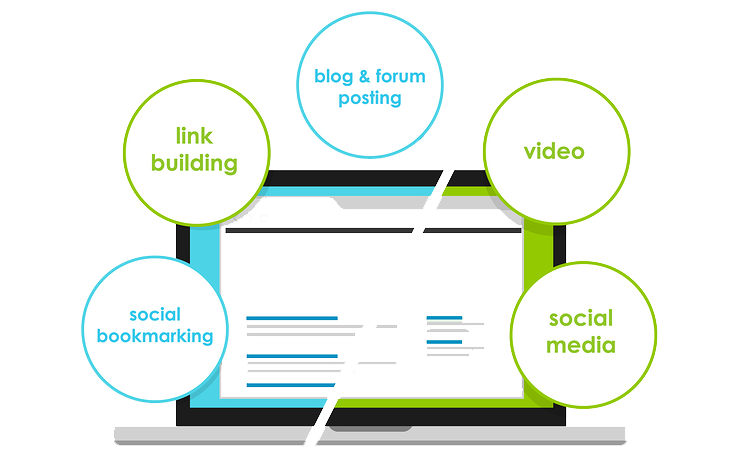 This includes things such as, social media, content marketing and link building. Off page SEO is all about improving a website’s ranking by using strategies that do not change or influence the website directly. 12. What is on page SEO? This includes all the activities that take place on the website to improve its ranking. Here, it is important to look at the optimisation of content and the landing pages. On page SEO can include title tags, meta tags and meta description. 13. What is a heading tag? Headings are used to distinguish between any heading and sub-heading of the content. There are 6 heading tags (h1 to h6) that are used to establish hierarchy. 14. What is a meta description? 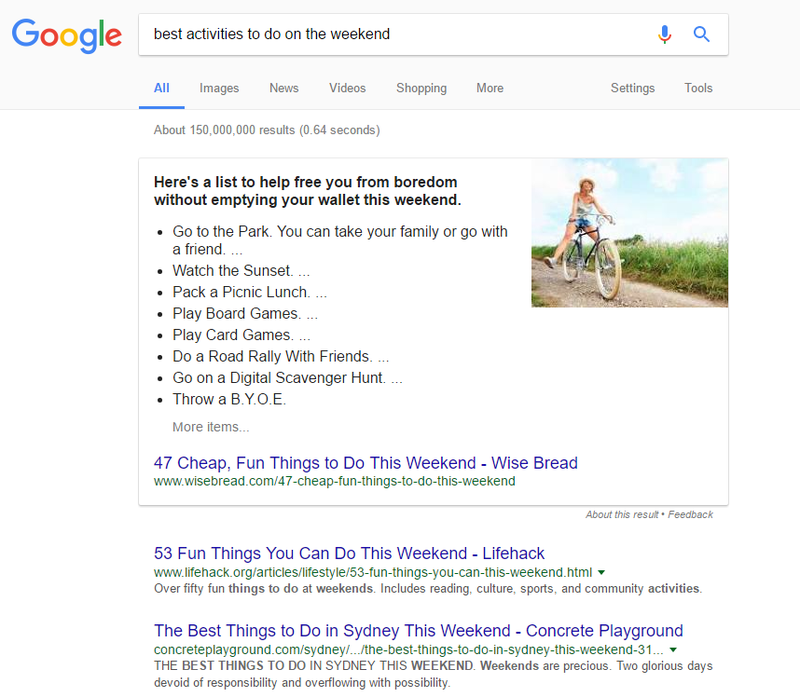 The meta description is the short summary given on each website in the SERP. An ideal meta description length would be around 154 characters. Backlinks direct a user from one website to another and they are very important in SEO. Quality backlinks send Google the message that your website has a high level of authority and relevant. This will in turn assist the organic SEO process. There are 16 of the most common SEO questions. 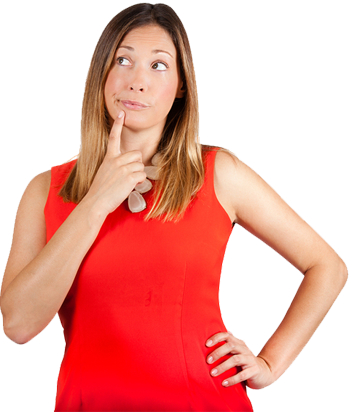 You probably have a lot more questions about SEO that you want to ask. But hopefully these answers give you a basic understanding of what SEO is and some of the main components. You can certainly take it further by doing your own research if you want to know some more detail! There is a lot more to be learnt about SEO. 4 of The Best Free SEO Tools To Get You Started SEO Scams – What Do You Do When You Receive a Spam Email?